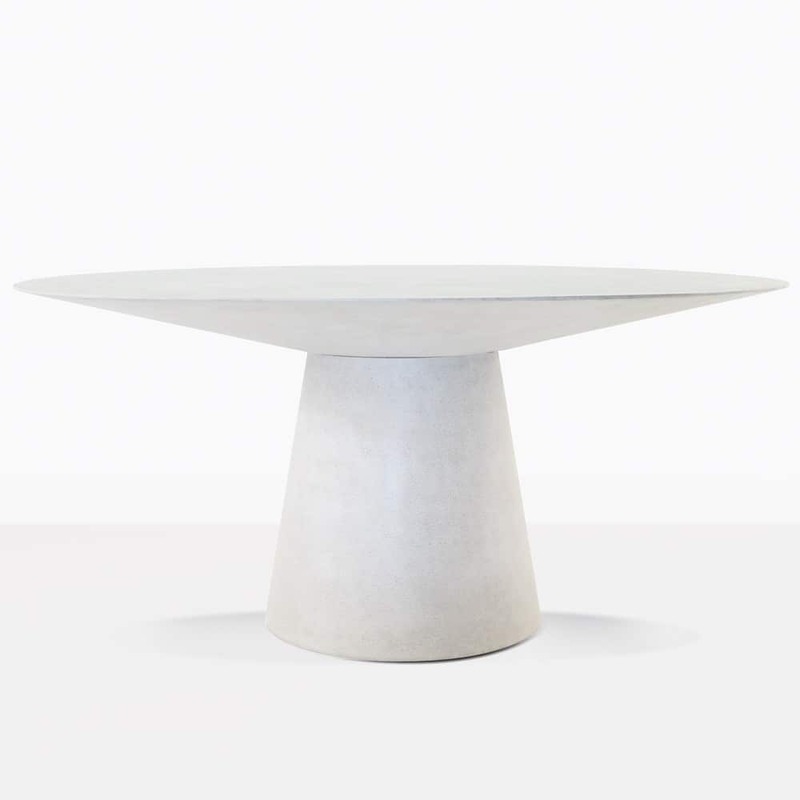 Taking outdoor dining to new heights, the Holly Outdoor Concrete Dining Table is the perfect piece to contribute to an incredible outdoor setting. 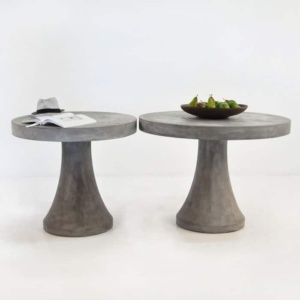 Made from fabulous concrete, the Holly Outdoor Concrete Dining Table in gorgeous Grey is a state of the art answer to your dining needs. 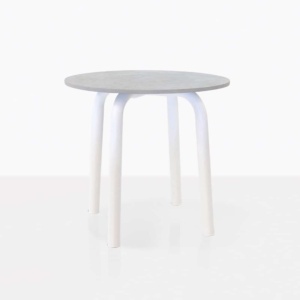 Giving you a stylish situation to present to friends and family, this stunning modern table is a great choice for indoors and out, for many different styles of area. A stunning design with a rounded tabletop the Holly Outdoor Table is an exquisite blend of art deco charisma with contemporary materials, giving you ultimate style with extraordinary quality. 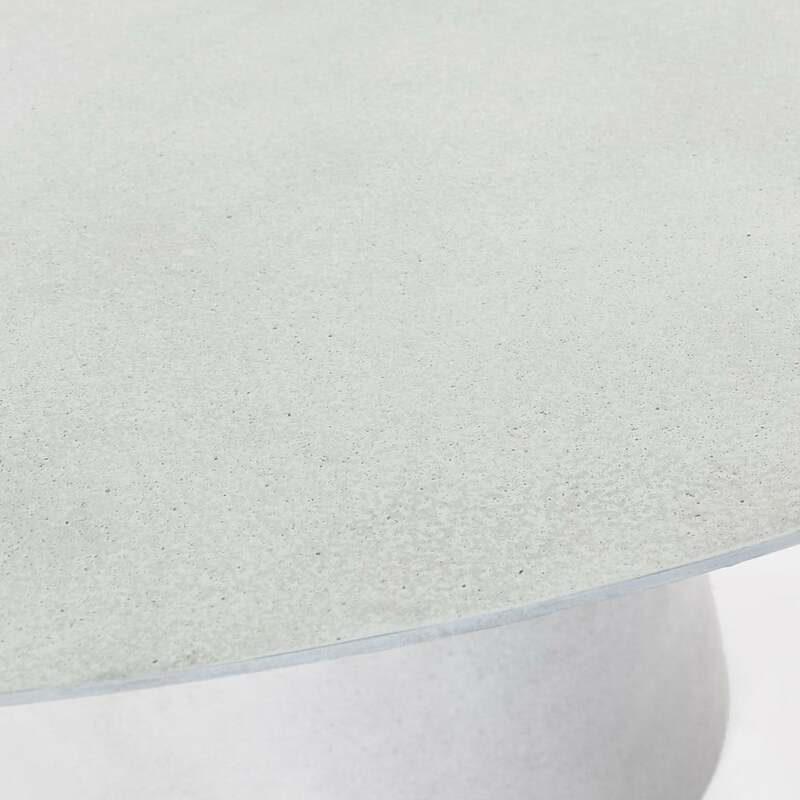 Made from an incredible resin table top with concrete and fiberglass, the Holly Dining Table is a modern choice for a modern home! Offer luxurious indulgence in your open air living area with the Holly Concrete Dining Table in amongst the vines, with 4 beautiful wicker-dining chairs around it, such as the modern Edge Chair, or the soft romantic Cape Cod Dining Chair. Some mood lighting and some good company, and you’ll be basking in the charming setting you’ve created for all occasions. Imagine this striking table on your verandah, where you are well placed to enjoy your ocean view and beautiful sunsets. Invite excellence into your home by inserting the Holly Concrete Table into your dining area, for a cool and contemporary flourish that will instantly uplift your home. Try some of our simple sleek plastic chairs around it for an easy family and fashionable fix for the kitchen and dining area. Design Warehouse knows how to keep you in comfort and style. 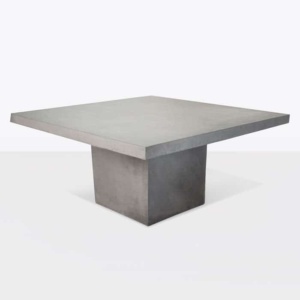 The Holly Outdoor Grey Concrete Dining Table is made from top quality materials completely at ease with being outside, and easy to maintain! We are proud of our products, and we know you will be too. Call us today to order your Holly Dining Table.